Scooper - Entertainment News: Rumuokoro was taken over by pro-Biafra engineers in Port Harcourt! 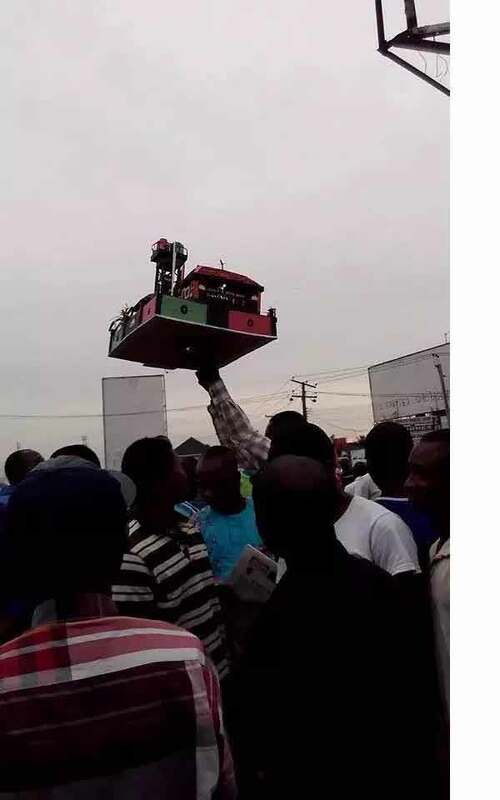 Rumuokoro was taken over by pro-Biafra engineers in Port Harcourt! Some pro-Biafra engineers took over the city of Port Harcourt. The engineers left the people of the city in surprise with what they did at Rumuokoro. The Biafran agitators staged the event to show support for Nnamdi Kanu. Following the release of Nnamdi Kanu, the IPOB leader, the spirit of the members of the Indigenous People of Biafra (IPOB) has been lifted even though their dream of standing as an independent nation is yet to be fulfilled. 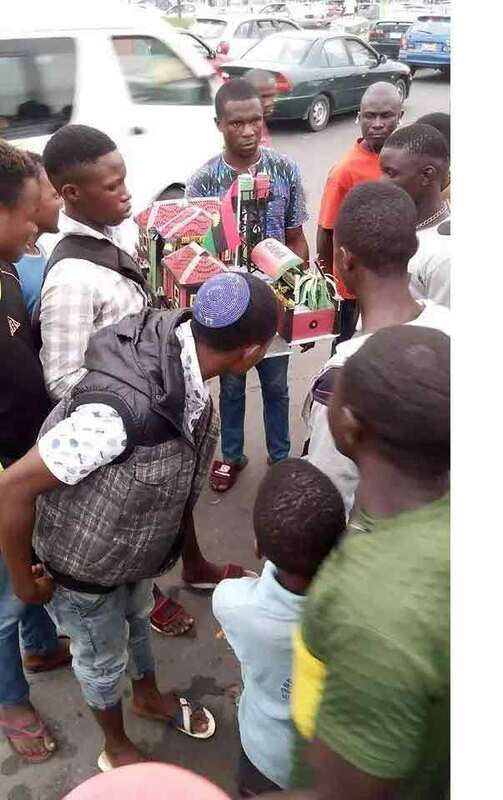 Some pro-Biafra engineers gathered at Rumuokoro, a popular roundabout in Igweocha on Tuesday, May 9, to dazzle the people of the city with their skills. The news of the pro-Biafra engineers dazing the people of Port Harcourt city with their arts and skill was shared by a Facebook user identified as Zeay Boie. The strength of the Biafran agitators have doubled after Nnamdi Kanu got released from the Kuje prison where he has been for months. 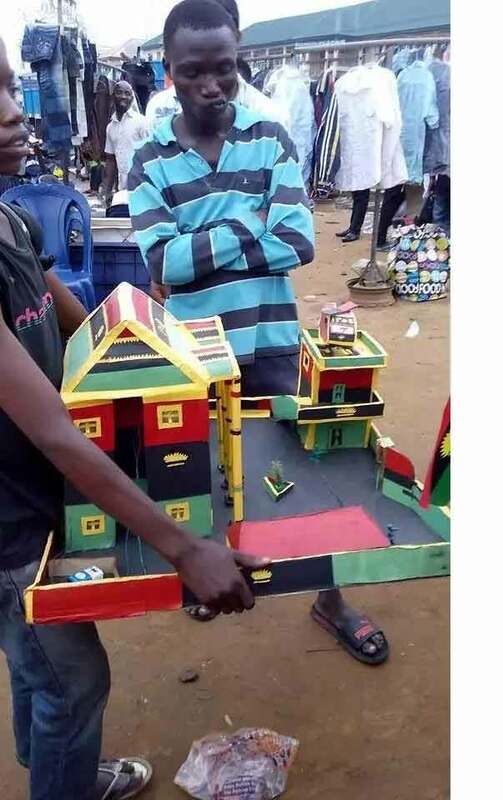 With the creative work done by the pro-Biafra engineers, it is obvious that their action was aimed at cheering Nnamdi Kanu as one of the artworks made with cardboard and papers bore the inscription ‘come to Nnamdi kanu’s house’. 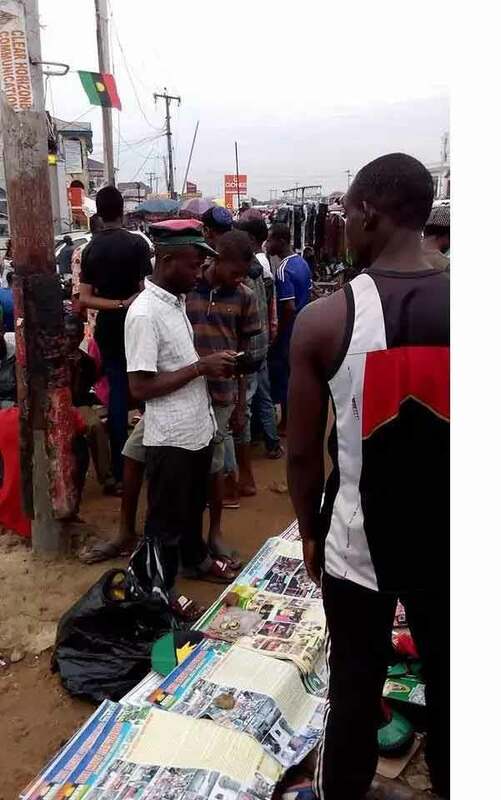 The pro-Biafra members also used the opportunity to sell products made in the color of the IPOB nation and this drew the attention of many people. 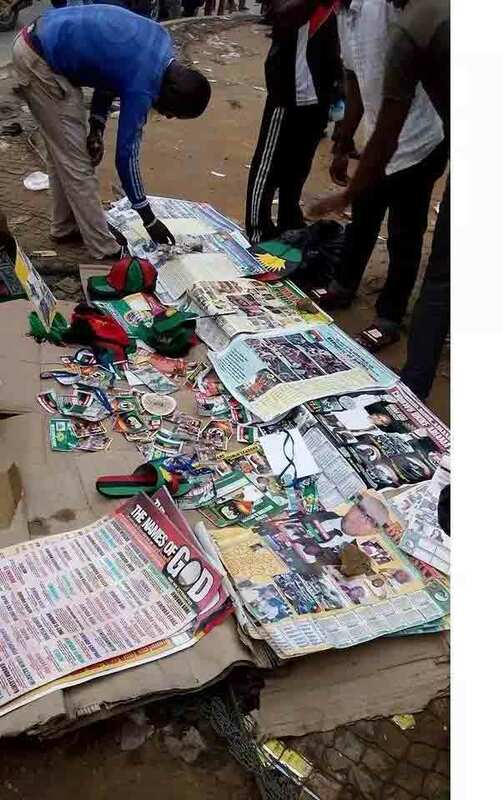 The poster also shared pictures showing some stunned police officers who left their duty posts to check out what the pro-Biafra engineers were up to.